In dealing with- or if you will- stubbornly failing to deal with, what remains the intractable issue of racism in the United States, that continues unabated to negate any possibility of a more perfect and fully integrated union, we might now beatify a dead Martin Luther King 50 years after he was assassinated in Memphis, Tennesee, but I have no doubt that his life might be just as much- if not more- be in danger in a 2018 America as it was back in April 1968. Like Christ, his kingdom of peace, love, equality, and equal education might not as of yet be of this world. 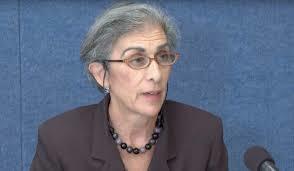 So when University of Pennsylvania Law School Professor Amy Wax "made disparaging remarks about the school's black students and suggested that some of them should not be at the school," political correctness demanded that she be denounced as a racist. But what if what she said is true? Is there another way of reconciling Black lack of achievement with their equality with the rest of the world's homo sapiens? If a systematic campaign of ruin and destruction had been practiced over centuries against any other race or population, where no measure of human well-being was left unassailed, would any other race have faired better? Subject: Does a yet segregated public education system produce superiority? Sixty-four years after Brown vs. Board of Education said, "Separate but equal...is inherently unequal," is the yet segregated and purposefully inferior public schools that the majority of Black and Latino students are subjected to from the time they enter school supposed to create intellectually equal and academically high achieving students? Not on this planet or any other where rational thought is at least tacitly believed in. I know you are very busy, but if you would like to engage in a brief 20th century phone conversation, I might be able to help you defend yourself with a reality your critics avoid like the plague. I have written over 800 articles on various aspects of this question and still believe that any people that don't understand that educationally nurturing all our youth from an early age is much cheaper and more beneficial to a society that more and more appears on the verge of decline for failing to do so. "Inferior" (they are not really inferior in resources, just achievement) and segregated schools cannot be blamed. Black and Hispanic students do no better in integrated schools - they stratify towards the lower end of integrated schools. This was discussed in one of my previous bloggingheads with Glenn Loury and he conceded that pattern. Unlike our shared Jewish culture, which emphasizes critical thinking skills in all contexts, the inner city Black and Hispanic LAUSD schools I have taught in for over 20 years of my life for the most part make no attempt to teach these critical thinking skills, but rather "teach" a rote copying of material, where students are given credit and socially promoted, whether or not they have mastered the underlying appropriate grade standards in a time-sensitive manner. If as a teacher you try and do otherwise, you are targeted and removed, because you are an embarrassment. When these predominantly minority students move into secondary and beyond education, they do not have the foundational mastery of prerequisite critical thinking skills and prior grade-level standards to do well and actually find their education in this context to be humiliating. This has created an inferior public education subculture where the Black expression "school boy" is not a compliment and where "Oreo" (Black on the outside, but White on the inside) administrators have turned mamma's picture to the wall for a six-figure salary. My friends two Asian-American Science and Math teachers respectively were told by their "Coconut" (Brown on the outside but White on the inside) Latino administrators that they were "not being culturally sensitive" for trying to teach Latino students their subjects in the same manner these teachers had been taught with great success, when they were in school. Since when did Latinos, whose ancestors had built a civilization that lasted far longer than the Roman Empire become incapable of being educated? Since they became cheap manual labor. In the past, Black Muslims educated Black students to a level of achievement never allowed in de jure or defacto still segregated public schools. And today The Harlem Children's Zone with predominantly Black and Puerto Rican students is presently achieving a result of academic excellence that puts their students achievement at the level of Westchester County, a toney upper White middle class community north of NYC. As for your comment that " Black and Hispanic students do no better in integrated schools," I would agree with you based on an example I experienced firsthand at Palisades Charter High School in West Los Angeles, where minority students were bused in, then promptly resegregated, because nothing had been done to transition them from their rote education environment of underachievement to a critical thinking one. Could their presence in a predominantly White school have anything to do with using their "average daily" attendance money from the state to subsidize what has become a predominantly White "public school" in a society, where over 90% of big city White students are in private schools? I taught comparative law in France for 7 years where my students of color did just as well as their White French counterparts, because they did not come from families that were 70% single-woman head of household, like here in the States, and where literally nothing has been done to address the predictable deficits that such a 400 year old system of institutional racism causes. The closest thing I found to how Black and Brown students are "educated" was after being fired by LAUSD. I went to work at an orthodox yeshiva, where the students studied religious materials from 7am until 2pm, when they were "forced" to study state mandated secular subjects, which the rabbis who ran the school made it clear to the students that they did not have to take these classes seriously. I must confess when Professor Amy Wax failed to respond to my last email, the first thought that came into my mind was of a young Queen Marie Antoinette in pre-French revolutionary France sitting in Versailles at her play farm, when she was told there was no pain/baguette (bread) in Paris. Her response was not a callous, "Let them eat cake," but rather, if there was no pain, why don't they eat petit four (little cakes), which the poor starving people of Paris had never seen. Like Marie Antoinette, Professor Wax doesn't seem to have any frame of reference for the reality that African American and Latino students face on a daily basis. For me it remains an open question as to whether she or my fellow ofay brothers and sisters can ever arrive at this point or is endless tribal warfare indelibly embeded into the DNA of all homo sapiens?